PUEBLO – Juan Morales, associate professor of English at Colorado State University-Pueblo, recently published a book of poems, The Siren World (Lithic Press, 2015), that has been described as “intensely personal and seamlessly universal.” The poems delve into the wonders and horrors of the world and reveal the mind of a poet open to anything that may strike his widely ranging thoughts. Morales said The Siren World took about seven years to fruition, which included adding, cutting, and reordering the book to find just the right home for it. “The book addresses the way language, our culture, and heritage lure us into exploring ourselves and how we can grow from looking at our own places in history and present,” Morales said. Along with visits to his parents’ homelands of Ecuador and Puerto Rico, Morales’ work spies on King Carlos V conjuring empire, envisions the murderous mobs of present-day Ambato, and the brutal death of Pizarro. Morales, who also directs the Creative Writing Program and curates the SoCo Reading Series, locates himself time after time in any variety of ponderings as in, The Right Way To Die For A Poem, where he finds himself both within the lineage of poets and the long heritage of those with the urge to write it down, while also acknowledging his own mortality. In many of the poems, he finds himself firmly in the magic of the mundane world, with the common yearnings that we humans have regardless of where we live. From all the places Morales inhabits comes an underlying current that coalesces into acceptance and understanding. 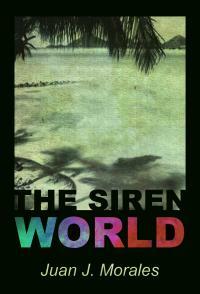 Chicano writer and book critic Rigoberto Gonzalez called The Siren World, “a glorious testimony to the will of the Americas to reconfigure and preserve its cultural identities, which are still thriving and palpable in the heartbeats and 'reconstruction songs' of its native children, its travelers, its bordercrossers, and its poets." Morales is the author of a second poetry collection, Friday and the Year That Followed (Bedbug Press), winner of the 2005 Rhea Seymour and Gorsline Poetry Prize. His poems have recently appeared in Poet Lore, Huizache, Hayden's Ferry Review, Mas Tequila Review, Pank, Origins, and Duende. 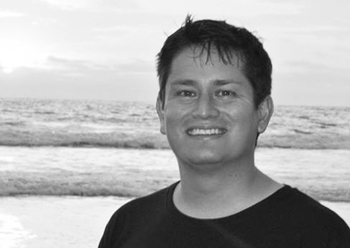 He is a CantoMundo Fellow and the editor of Pilgrimage Magazine.